Crossing the threshold of this new hotel, ideally located in the centre of Seville, assures an unforgettable stay in what for many will be a yet undiscovered Seville. Built and protected within the historical complex of the Reales Alcázares Palace, its 18 rooms, all uniquely decorated, as well as its courtyards, make it a point of reference for travellers who will with no doubt enjoy the comfort and quality of its facilities and services. 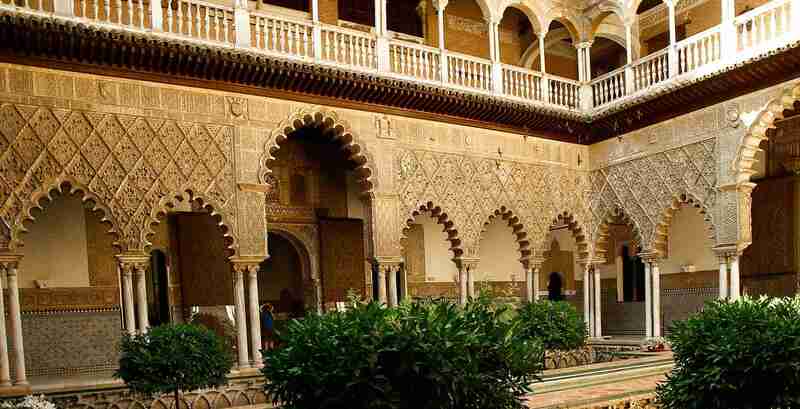 Built upon important Moorish, late medieval and contemporary archeological remains, visitors will be taken aback by the beauty of the rehabilitated elements such as the wall that borders with the Alcázar, fountains, canalizations, pottery, and floors from past centuries. Discover the delights of staying at luxury accommodation whilst reliving centuries of history in the heart of Seville, exclusive sensations for a new generation of traveller. 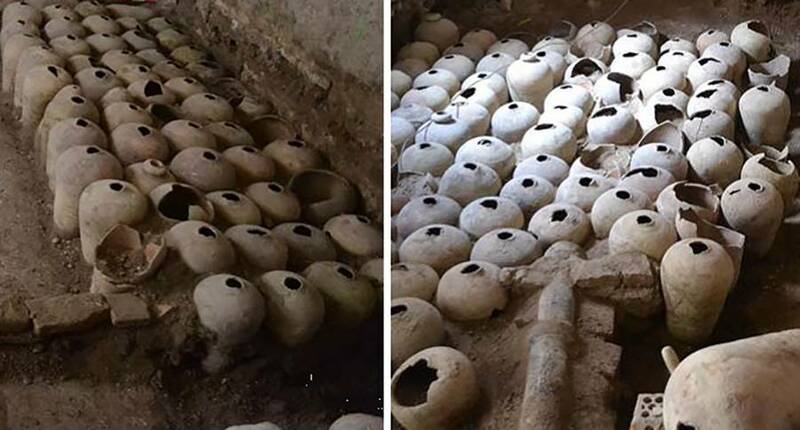 During the excavations appeared more than a hundred 17th century amphoras, most of them very fragmented. Their purpose was to serve as an insulation forming an air chamber. Some of them are currently located in different rooms of the Hotel. 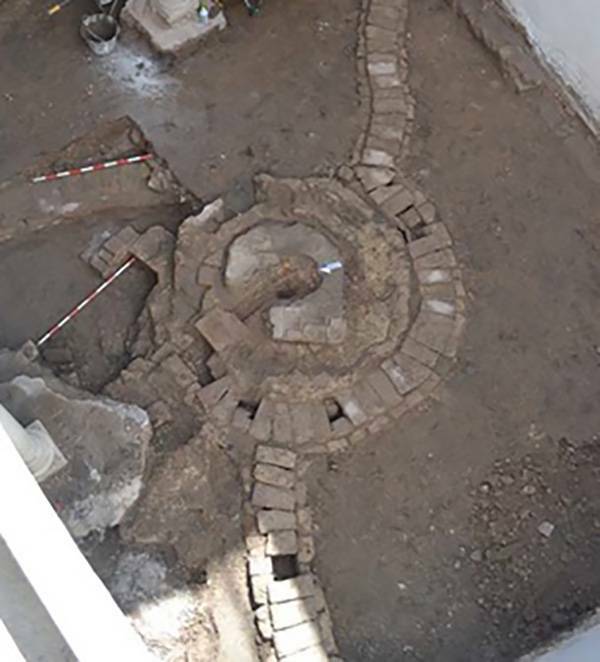 Detail of the excavations of the current central courtyard where we can observe remains dated between the 17th and 18th centuries as part of the ancient decorative fountain. 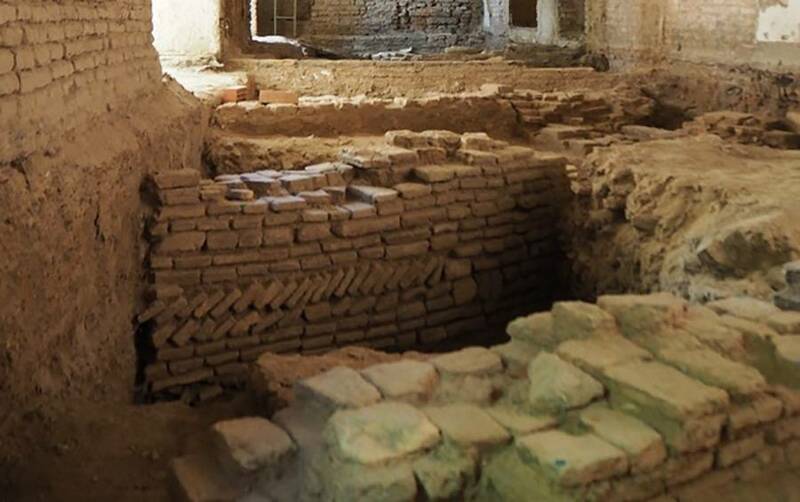 Underneath this floor is located a well with a contemporary reservoir. This image shows the remains of a downspout one meter long that leads into the reservoir . 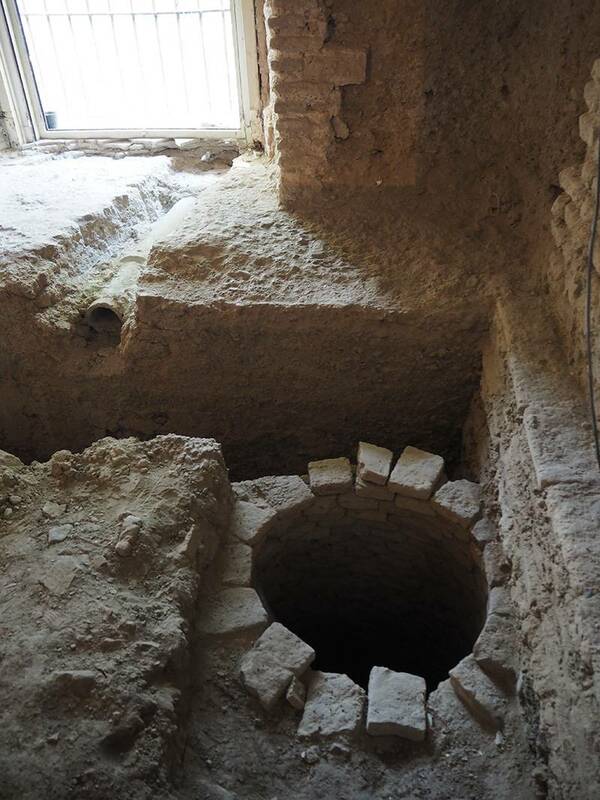 At the end, there is a circular well made of bricks closed by approximation. This can be dated in the 17th or 18th centuries. 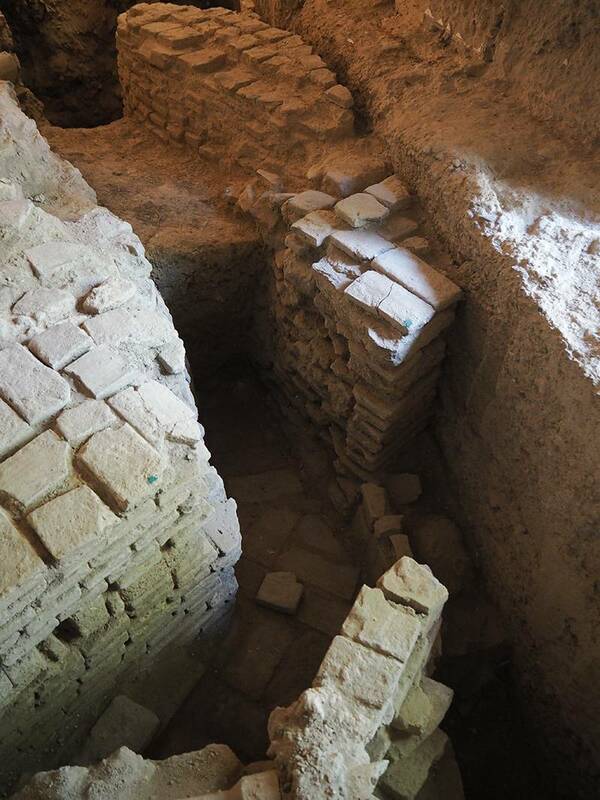 These ruins belong to the walls of the ancient Almohad buildings on the walls of the Reales Alcázares. This is the artesian Well that provided water to the house. 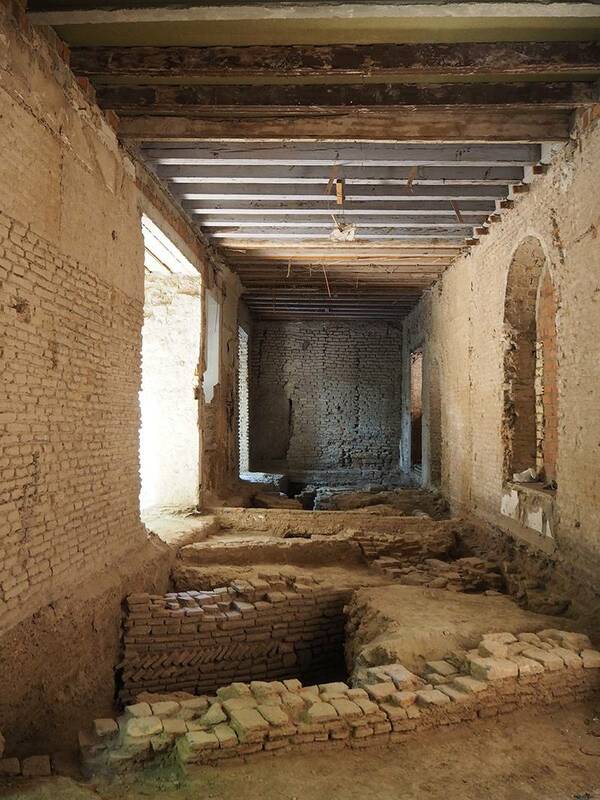 We can also see the layout of the wall of the Reales Alcázares, appreciating its amortization, that means, the partial removal of the wall to increase space in the rooms. Detail of the almohade wall. 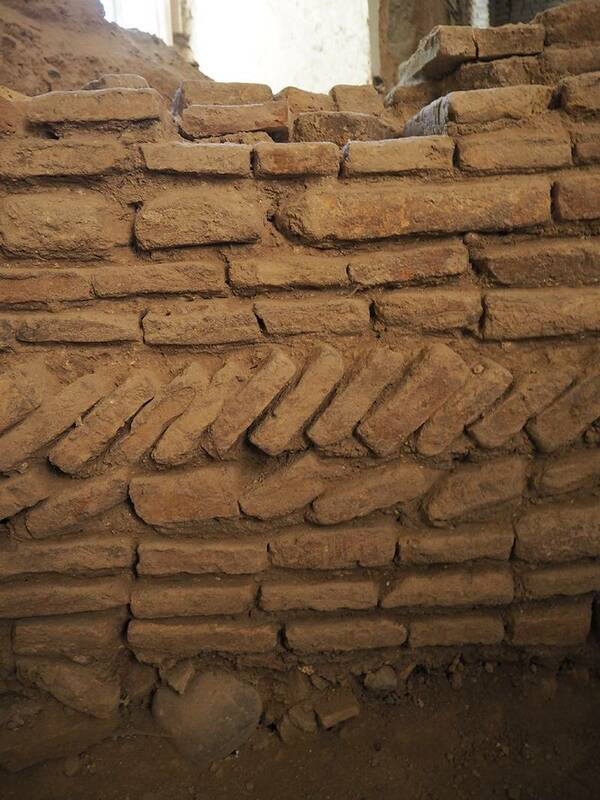 We can see the use of brick, following the “soga y tizón” technique ( “soga” when the blocks are placed in the horizontal by its longest side to form a structure, whereas “tizón” is in by its shorter side). This technique by the combination of the bricks provided the wall with greater consistency, firmness and resistance. Picture taken from the currently room number 4. Where we can appreciate the location of the almohade wall. We can see from this angle the current rooms number 3 and 2. On the walls we see remnants of the bricks on the wall. 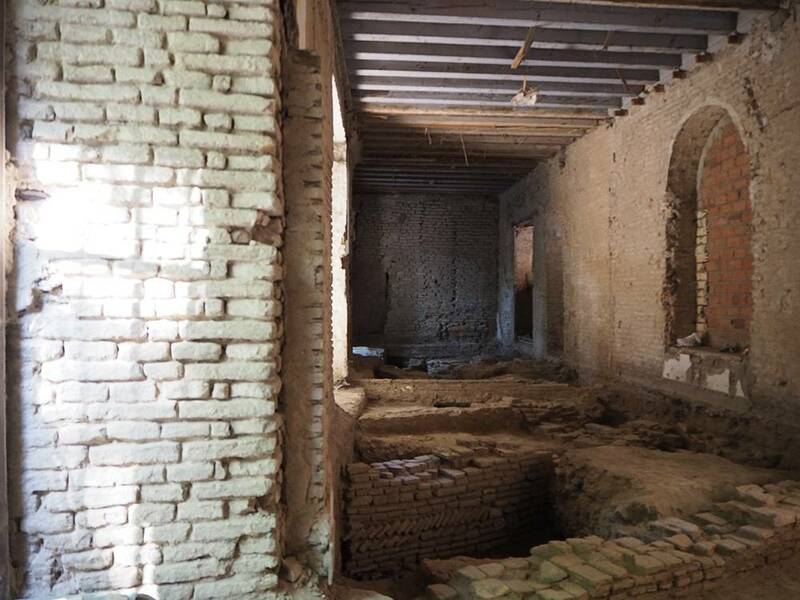 Not to perform the necessary maintenance of the wall (dirt, humidity, dust...) and to have a non-rough face, the wall was built with new bricks and after that was painted. We can find it in one of the walls of room number 4. On the roof of our Suite you can see polychromed tables that appeared in this place belonging to a nobler building. 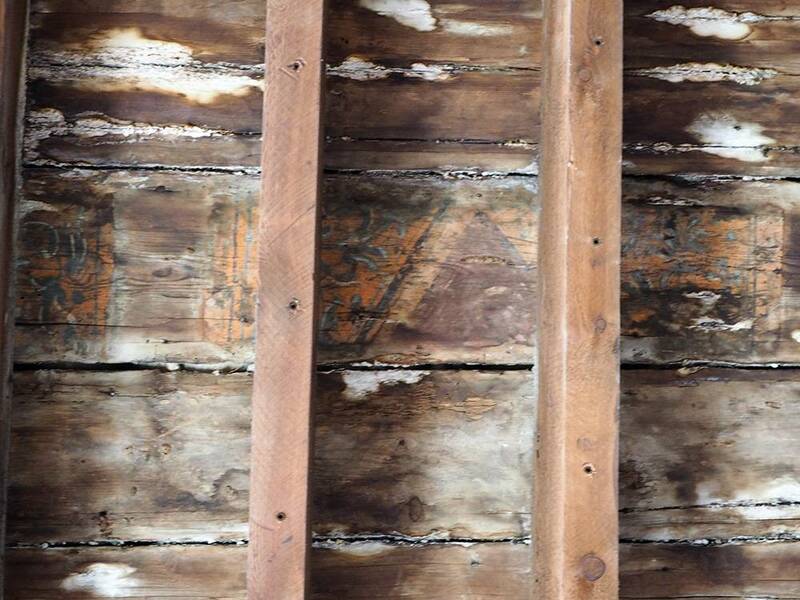 We show detail of the paneling. 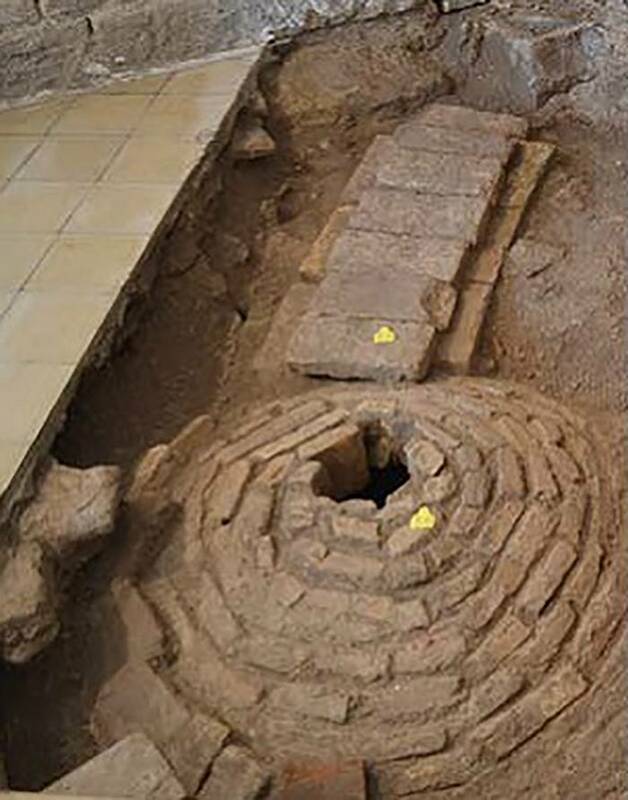 Detail of the drain found in the house, which was supplied from the Tagarete River, a stream from the region of Los Alcores (Seville) where it was known as the stream of Miraflores, and which was renamed Tagarete when it approached Seville. From the Arroyo street, surrounded the old town by the east sector, continued parallel to the old wall and between the Royal Tobacco Factory and the Alcazar, passing by the current San Fernando Street, to flow into the Guadalquivir River by the “Torre del Oro”.